Yesterday (April 6) there was a full moon. The skies were clear and the temperatures were crisp. When that happens, there’s only one thing to be done. A full moon ride. We rode from east Madison on the SW commuter trail and down the Badger State Trail, through the tunnel, and back. Stopped for a beer after the tunnel. 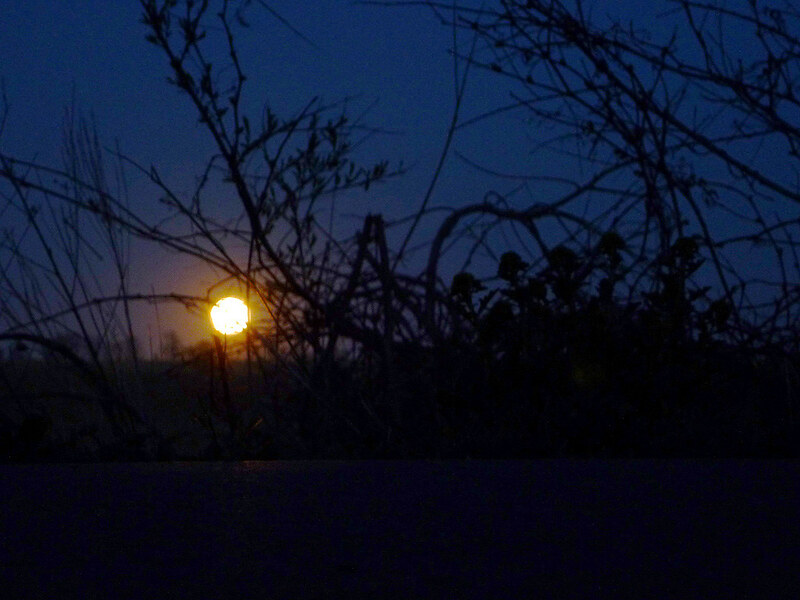 Lots of rabbits in the headlights and coyotes singing to the moon (and presumably, each other). Stats: 52 miles, 13.mph average, top speed at 23.2mph. Respectable, especially since I was riding the single-speed Raleigh One-Way with flat pedals and regular shoes. Felt it this morning though. Quads were tired from a little too much grinding through some of the soft stuff on the BST, and my forearms were stiff and sore from bouncing around on all the ruts. Might as well get all that out of the way though. The Dairy Roubaix is in two weeks and the Almanzo in six. Sobering thought, that.